Everyone's favorite scoundrel goes Solo! Han is given a top-secret undercover mission for the Rebellion: rescuing several informants and spies! His cover for the assignment? Only the biggest and most infamous starship race in the galaxy, the Dragon Void-a tournament he has dreamt of winning his entire life. With a chance of glory, can Han keep his mind on the mission? Or is failing Leia worse than losing? If that wasn't enough, there's also the small matter of finding a traitor within the Rebellion. As the Dragon Void heats up, can a certain Wookiee pal lend a hand in the mole hunt? Place your bets for the ultimate space race! Our money's on Han and the Millennium Falcon - after all, it's the ship that made the Kessel Run in less than twelve parsecs! 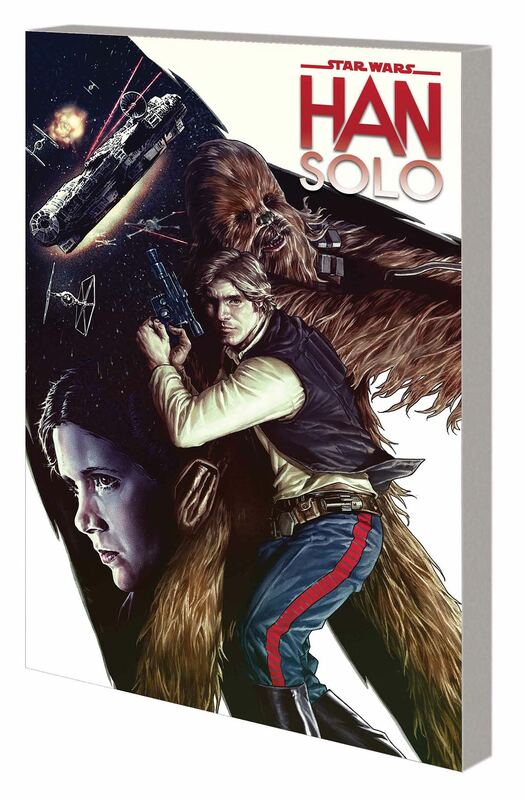 Collecting HAN SOLO #1-5.